While iOS 11 was famous for its instability, performance issues weren't the only factor holding it back. The OS overhauled the notification system on iPhone, but not necessarily for the better. iOS 12, however, improves upon these changes, bringing critical features that make viewing and interacting with notifications on your iPhone on par with Android. There are six changes to your iPhone's notification system that really stand out in iOS 12. Some improve organization and clarity in the Notification Center, while others hand customization — a rare find on iOS — to the user. Others are just brand new ideas aimed to make your iPhone experience better for you. If you find you aren't happy with the way certain apps behave when you receive a notification, iOS 12 allows you to change that app's notifications settings right from Notification Center. 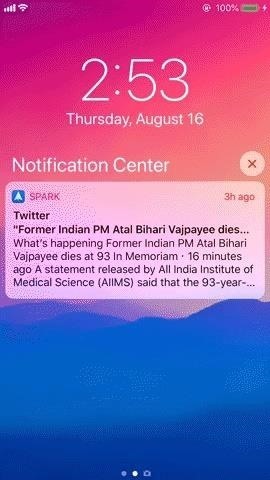 Simply swipe left on the notification in question and tap manage, or pop the notification with 3D Touch and tap the three dots in the top-right corner of the window. "Deliver Quietly," the first option in an instant tuning window, forces an app to send its notifications silently to the Notification Center. You won't see or hear this app's notifications, and visiting Notification Center will be the only way to see what's new. 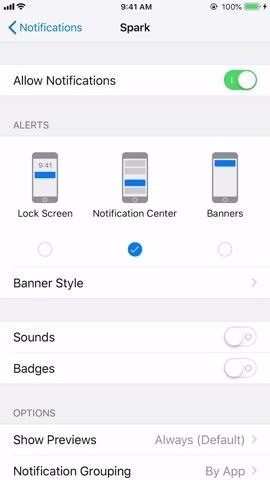 Quiet notifications appear in Notification Center, but do not appear on the lock screen, play a sound, present a banner, or badge the app icon. If you want to change back, you can revert "Deliver Quietly" at any time. Just access Instant Tuning on a notification for that app and tap "Deliver Prominently," or jump into the notification settings for that app and reapply "Lock Screen," "Banners," "Sounds," and "Badges." Siri is smarter than ever in iOS 12. One example of this is in Siri Suggestions for notification. Siri can identify your habits surrounding certain notifications, and suggest settings that would better suit your needs. For example, if Siri notices you frequently ignore notifications from a particular app, the assistant can suggest you enable "Deliver Quietly," to avoid having to repeatedly dismiss notifications. Possibly the crown jewel of iOS 12's notification overhaul, grouped notifications stack together notifications by app, topic, or thread, to keep your notification center and lock screen clean and organized. No longer will you have to sift through each notification you received in one day in chronological order — grouping ensures you find what you need quickly, and dismiss what you don't. While Do Not Disturb is a focus for iOS 12, "Critical Alerts" is a bit of the opposite philosophy. These new alerts allow you to enable certain apps to break through Do Not Disturb on your muted iPhone so that the app can notify you at all times. You wouldn't want to — nor can you — enable Critical Alerts for something like Facebook, but for apps that provide medical information or exclusively emergency notifications, Critical Alerts can provide a peace of mind. Apple will be working on this setting with app developers who need special approvals, like developers of medical apps used by doctors, so only approved apps will be able to offer users Critical Alerts. This one, like Critical Alerts, requires involvement from app developers. Notifications in iOS 12 will be able to display additional content other than text, such as hyperlinks or even special buttons, that users can interact with. 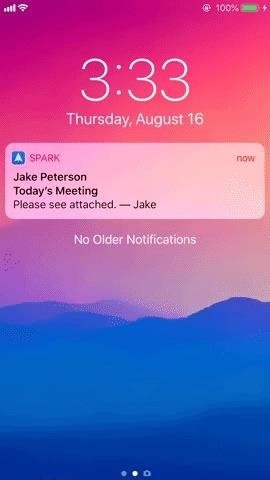 They add another layer of depth to notifications, as users won't have to open the notification and its app in order to access certain features.